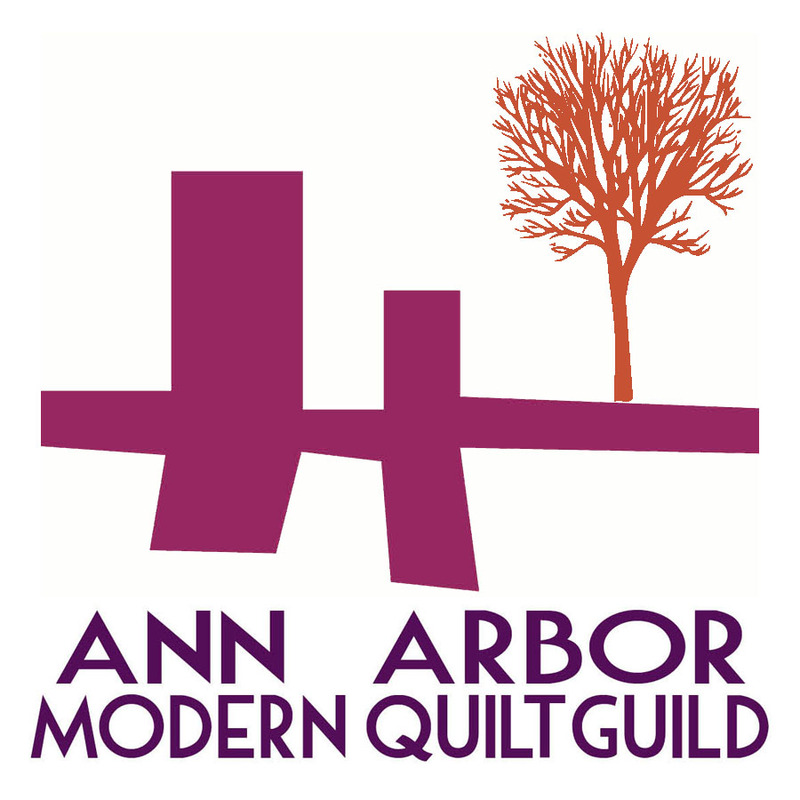 I’ve been trying to come up with a quilt utilizing some of the Constellations fabric line (by Lizzy House – available here), and these glorious “Grumpy Moon” screen prints made by my friend and fellow Ann Arbor Modern Quilt Guild member Amy! 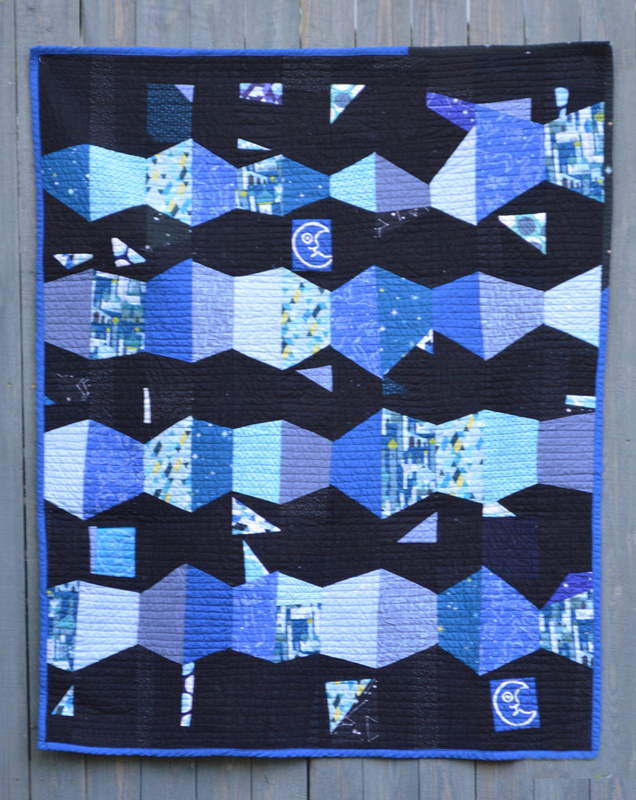 This design is the same concept as my “Trapezoids at Work” quilt and I even have a tutorial posted over HERE. This quilt will soon make it’s home in Wisconsin with my sister’s family. We’re all eagerly awaiting the birth of my first nephew! Do you have a whole bunch of ill-fitting clothes still taking up space in your closet? Once again I found myself reluctant to give away a pair of pants: they were from The Limited, bought in 2007, 2 sizes too small, but in great shape and buttery soft. And, as I mentioned in my last shorts-to-skirt tutorial, I really need the warm-weather bottoms! I decided to use more of that stretch sparkle denim for my side panels. But this time I used the reverse side of the fabric which is a bit more gold than blue. Saucy! I followed the same procedure as last time for making this skirt. The only difference was that this time I did a blind-hem stitch on my machine! So now that everyone has their Jorna pattern (right???) here’s a simple modification you can make to get a beautiful Jorna out of any transparent fabric with stretch. I have this stretch lace and I LOVE IT. But obviously I couldn’t do the normal lining that is called for in the Jorna pattern, what with the see-through-ocity of the lace. My secret to pretty finished edges when using lace or similar fabric? : WONDER TAPE. Hallelujah sing the praises. This is a skinny double-sided tape that disintegrates in the wash (or whenever it’s exposed to water). 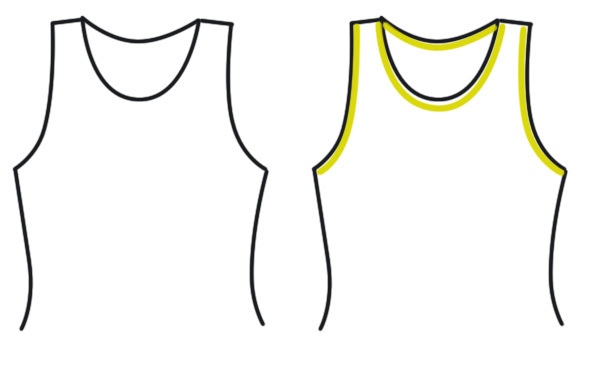 So to make the dress (or tank – whichever length), first sew together the shoulders as instructed, but then skip ahead to sewing the sides together from hem to armpit. For this type of fabric, I will finish these seams on the inside with an overlock stitch and trim off any excess. A serger would be handy here. Or you could do French seams! Ohh la la! Now you just need to finish the armholes, neckhole, and bottom hem. 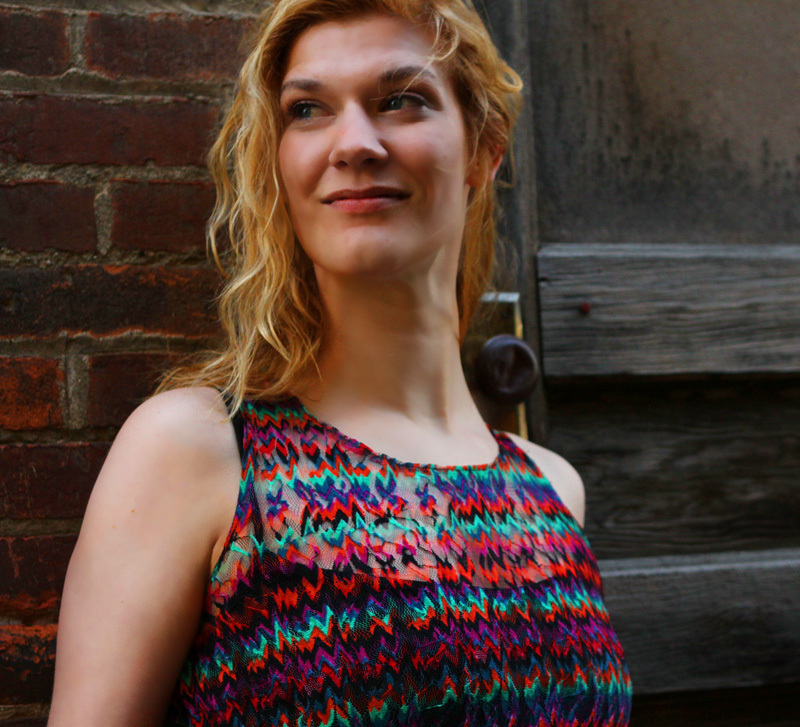 Start by sticking a long strip of Wondertape along the neck-line’s raw edge, onto the wrong side of the garment. Remove the backing of the tape, and fold it down! It sticks! And now you can sew over the tape (on the right-side of the garment) with a narrow stretch stitch. It’s easy peasy sewing through the tape – no gunky needles in my experience. Repeat the process for the armholes and the hem. You could fold the edge over twice to encapsulate the raw edge completely. You could. I don’t. I actually use WonderTape when hemming the Jorna in this YOUTUBE VIDEO of me sewing a Jorna in less than 40 minutes (fastforwarded through genius editing technology so the video is just 4 minutes long). Okay – and for the slip (because otherwise this would actually make for some fierce lingerie, but I need to be able to wear it on the streets) I made a black tube out of jersey, added straps, and called it good enough. I’m linking up to the No Pants Summer 2013 party! I hope some of yu are planning on joining me for the Positive Space Quilt Along! 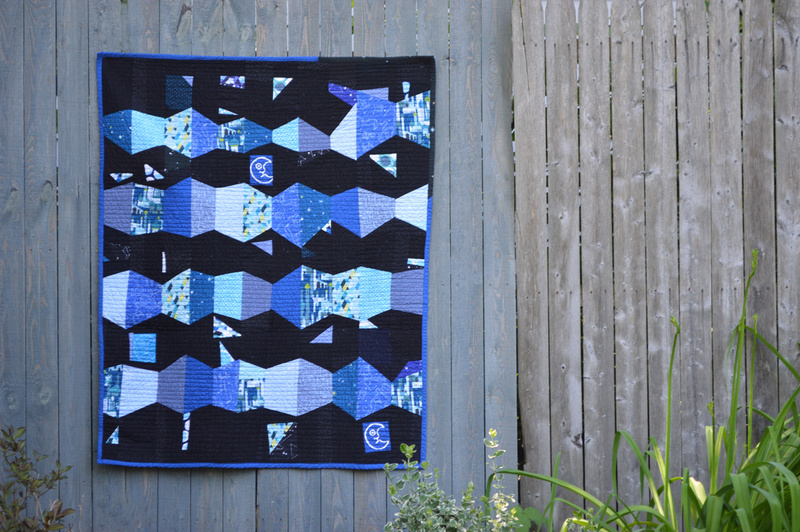 I’m getting excited to make my FOURTH of these quilts! 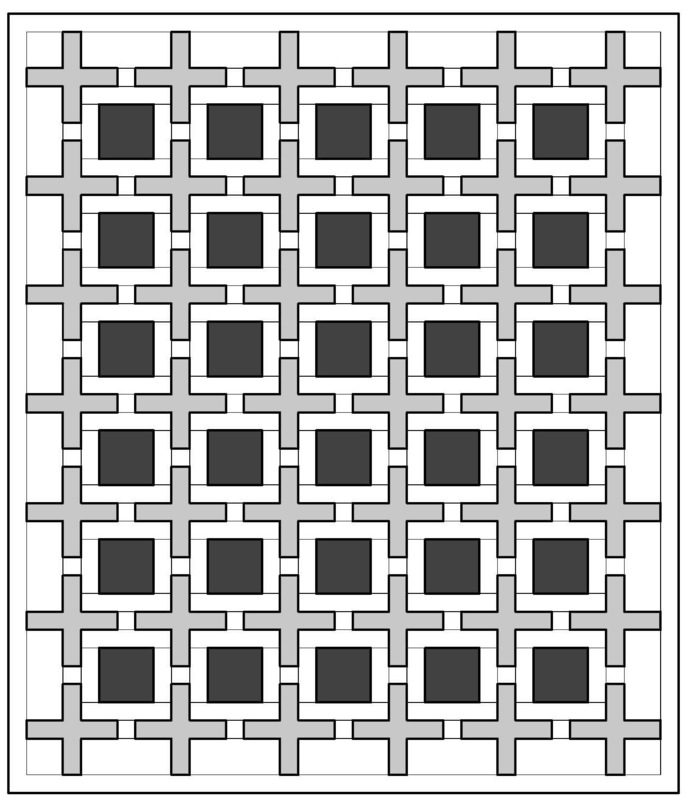 Get your pattern HERE. After playing with the coloring page, I think I’ve decided on making a bit of a masculine version this time around. I’m using Essex Yarn Dyed Linen in Black for the squares (my first time having all of the squares be the same fabric) and Essex Yarn Dyed Linen in Flax for the plus signs. Kona PFD for the background. 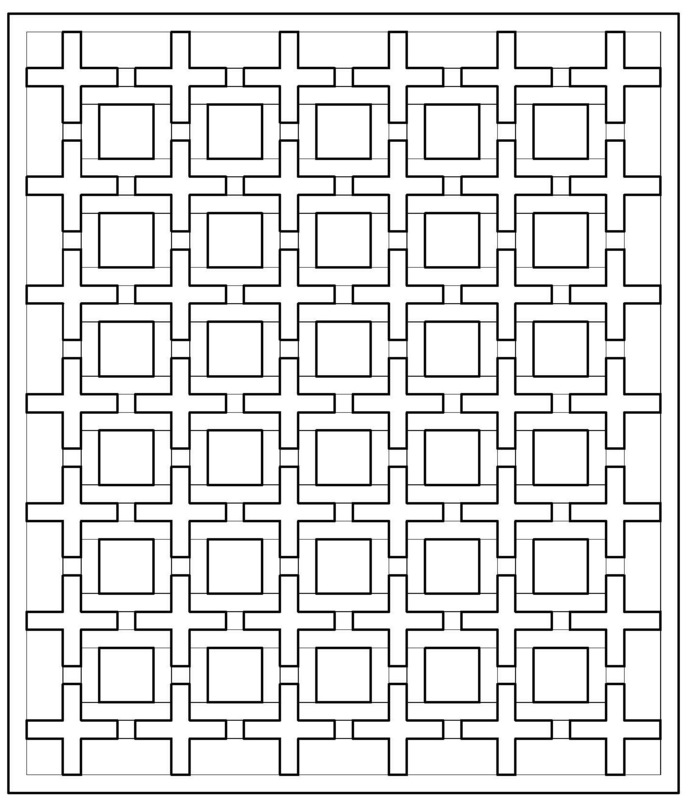 Make your own coloring page by using THIS IMAGE. Don’t forget, you can use the code POSITIVE15 at Pink Castle Fabrics throughout October to get a 15% off discount! 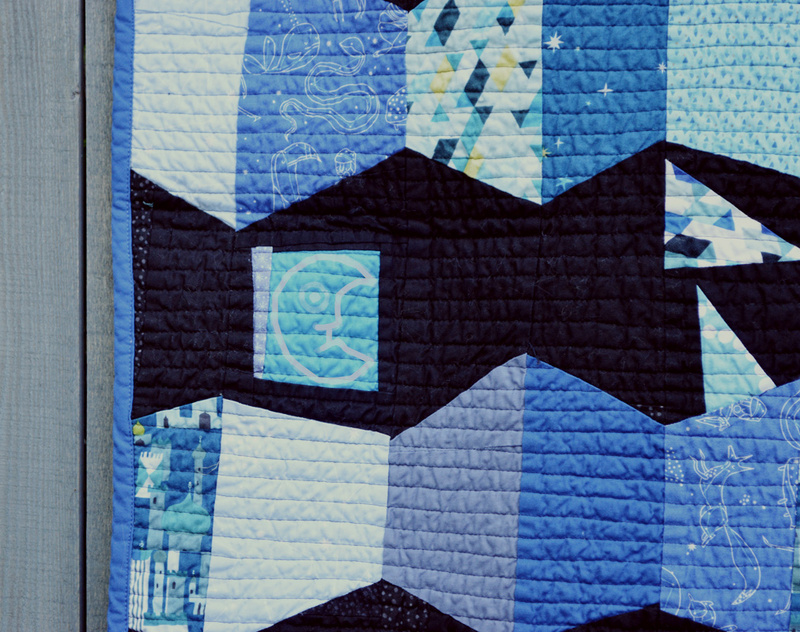 ALSO – If you’re willing to buy a little extra background fabric, I’ll be showing you a short cut for the quilt. Although the directions in the pattern show the best way to cut-out the pieces for conserving fabric, this exclusive QAL tip will save you time where it costs you fabric. Pick up an extra 1/2 – 1 yard and embrace a willingness to wing-it! From my dream to reality. Thanks to the awesome engineering and woodworking skills of my dad at the Woodlands Sawmill, there now exists a sturdy, wooden hanger able to support the weight of a quilt. Not only are these hangers going to be wonderful for storing quilts in my home, they’re also going to be perfect for selling quilts at a craft fair. 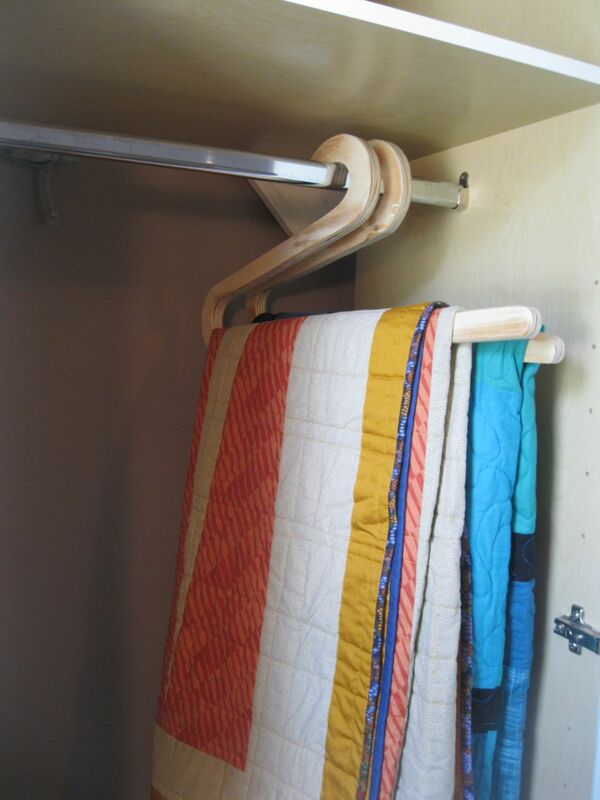 Picture a bunch of quilts hanging on their individual hangers, lined up on a clothing bar. No more digging through stacks! If you’re interested, you can purchase these bad boys in my Etsy shop. Check out what my husband made! 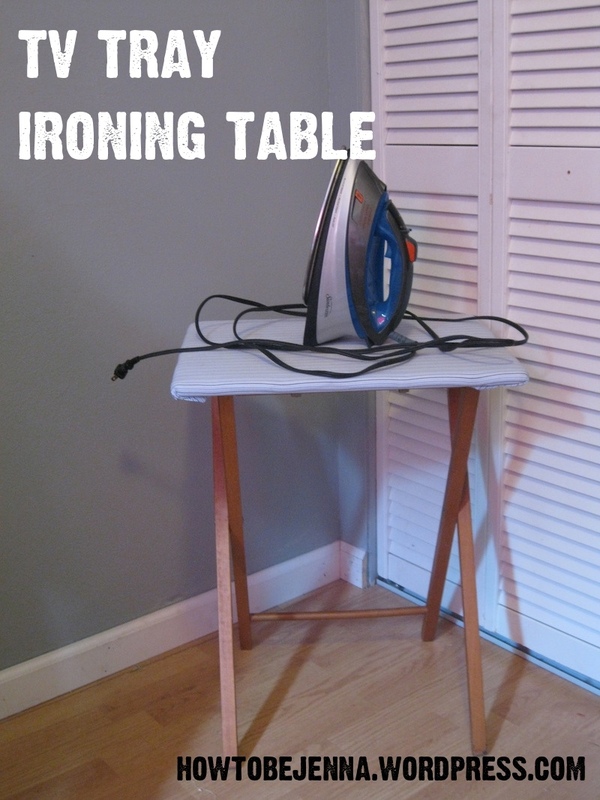 It’s a portable ironing table that I took with me to the Ann Arbor Modern Quilt Guild’s quilting retreat. He stapled two layers of batting and piece of cotton fabric to the underside of a wooden TV tray. 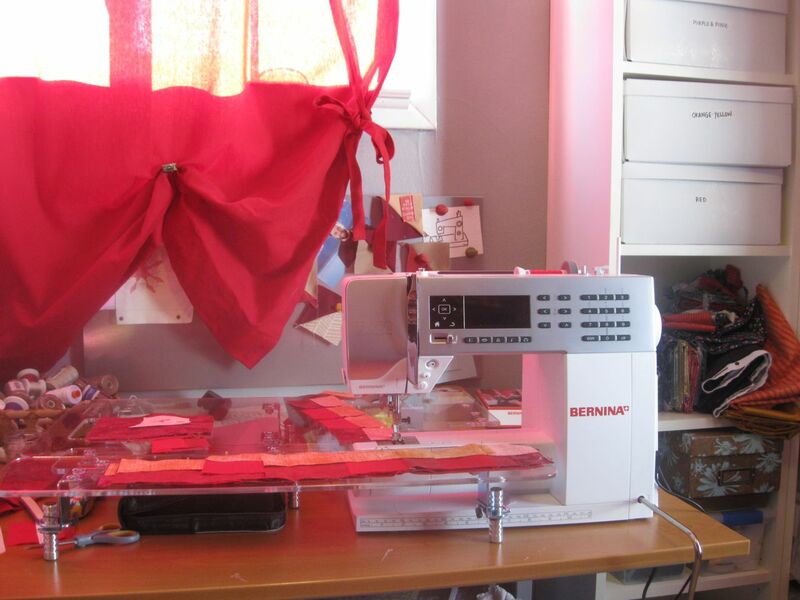 It’s so nice to take to sew-ins and to have next to my machine in the office. No more cumbersome, full-sized ironing boards necessary when all I’m doing is pressing HSTs! Thanks, Greg! If you read this post, you know things weren’t looking good for my Viking machine. After I finished a free-motion quilting session, I sat down to try and squeeze out one more project on the machine before taking it to the shop. No go – it wouldn’t even run anymore! The hand-wheel wouldn’t turn all of the way, and I couldn’t find the source of the problem. So I took the machine to the shop and the mechanic opened the case, took a peak at some of the moving parts, and said “OOOOOohhhh no” and then gave a big, defeated sigh. It was dead. Boo! The black dust was from two of the moving parts scraping against each other and creating metal dust. In my classic paranoid, self-defeating manner I asked if it was something that I had done. He assured me it wasn’t, but was rather just old-age. That was sort of a relief because I really pride myself on my dedication to maintaining my machines. I got it serviced regularly and diligently did my at-home cleaning. I guess that mechanism that was broken is no longer manufactured and the replacement parts are all used and only have a life expectancy of a couple of months. So it was time to make a big decision! What machine to buy? 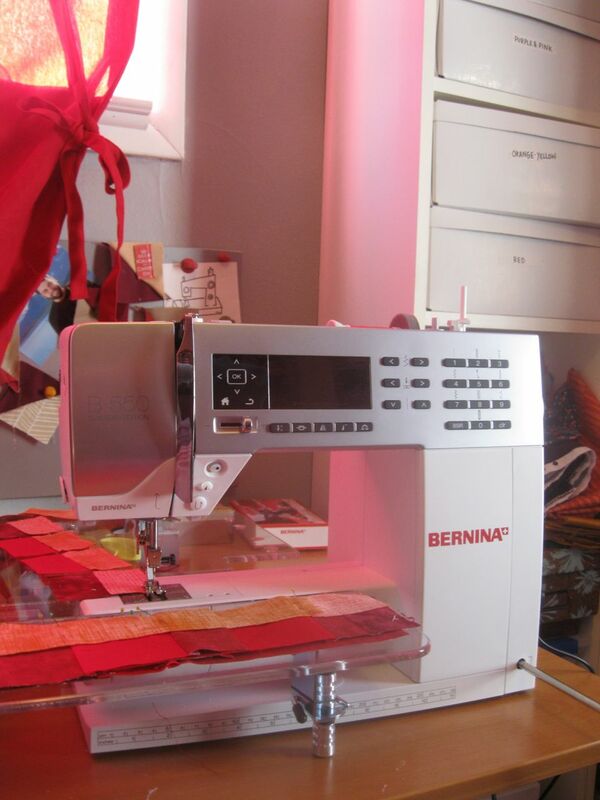 After a lot of research, soul-searching, and number crunching I decided to go all out and get myself a floor-model Bernina B550 Quilter’s Edition. It came with a walking foot and BSR free-motion stitch regulator, and is pretty damn sweet.